A U.C.N.W. 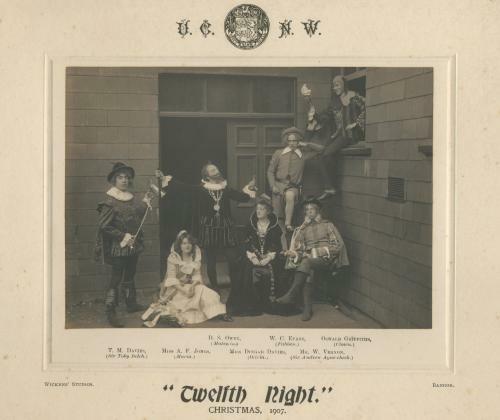 production of Twelfth Night by William Shakespeare, performed Christmas 1907. Individuals and their roles named.